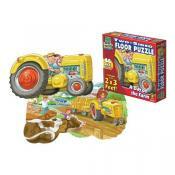 Puzzles are an important part of every child's learning process and here at Jumpin' Jacks Toys we have one of New Zealand's best ranges of baby puzzles and kids puzzles online. 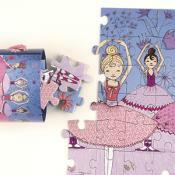 From early childhood right through to adulthood, puzzles play an important part in our lives. They challenge our thinking and exercise our minds and provide an essential learning tool for toddlers and young children. Puzzles help develop children's cognitive skills, problem solving, fine motor skills, hand and eye co-ordination, as well as social interaction and confidence. 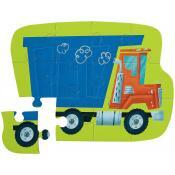 Our puzzles for kids and babies feature a number of themes and topics such as shapes, numbers, letters, colours, animals, fish, cars, trains and more. This 300 piece floor puzzle is highly detailed and challenging kids and families to learn the diff..
A fun sensory toy featuring four wooden pieces to stimulate four different senses and skills; sight..
Find your parrot and your pirate mates and spend some below deck time assembling a Pirate Island ..
Adolie Day has illustrated a very pink, very cupcake-centered tea party for Mudpuppy's Tea Party ..
Around NZ in 100 magnets!What a fun and educational way to discover New Zealand. Magnets name towns.. 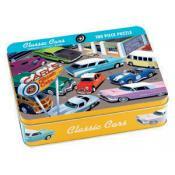 The Build Up Peg Board is an iconic pattern and stack design used by children in New Zealand for ..
What in the world is a What'zit Car?It's a fun multi-coloured wooden puzzle with wheels that will k.. The magnetic board doubles as a whiteboard and the reverse is a blackboard. The board is also a lid..